I’ve been to a lot of shows at the Hollywood Bowl and it’s not my favorite venue (I prefer The Greek). But if you ask non-concertgoers in Los Angeles, they will overwhelmingly endorse the Bowl. It’s legendary. Plus, it certainly helps that the Bougie wine-and-cheese crowd can pay a little extra to sit inside a glorified box. It was not until seeing Florence + The Machine that I finally realized the true value of that venue. 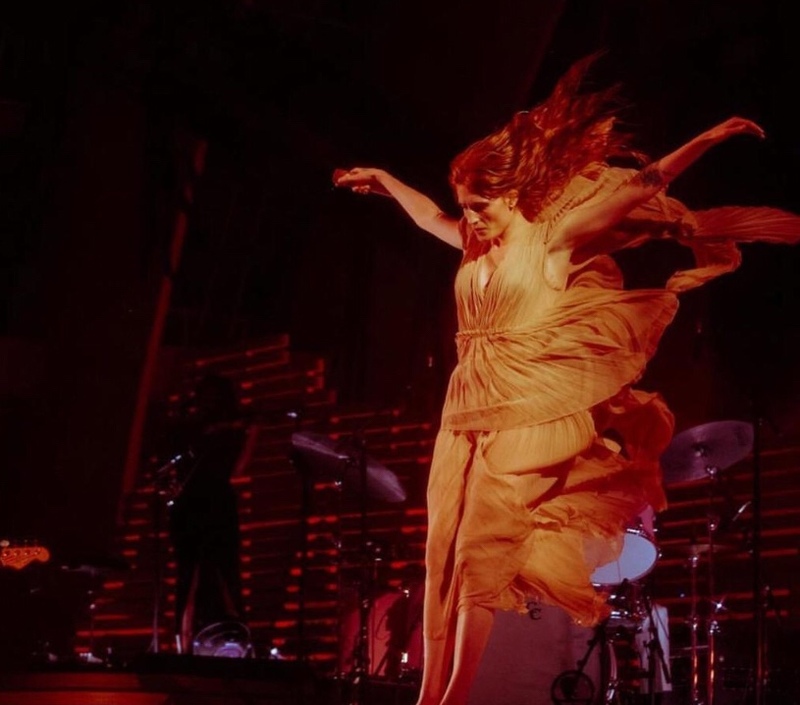 At approximately 9:15 p.m., Florence Welch entered the stage in unison with her very talented musicians, and it was as if the heavens opened up and released a gift from G-d amidst the stars and the mountains. The aesthetics of a show are often overlooked, and she optimized every inch of available space. Her staging was impeccable, with perfect lighting and a background that made the large area feel incredibly intimate. If Florence Welch was attempting to document her devastating nervous breakdown of recent note for her new “Delilah” video, she succeeded, Far removed from any fancy effects and chic outfits, Florence finds herself somewhat possessed in a hotel room, looking . . . weathered. It’s the latest video off Florence + The Machine’s ‘How Big, How Blue, How Beautiful’ record, and true to form — it’s catchy and captivating. Since her lyrics are less than literal, it’s hard to tell if this is a boy-crazed insanity, or she simply lost her marbles momentarily, but she’s “holding on for [someone’s] call”, whoever that might be and she’s “strung out for [his] love. WATCH below. Florence and her very powerful machine took the stage at Saturday Night Live for an unforgettable, pared down performance, and it’s not to be missed. Watch the video below to see music at it’s best. Though not as catchy as her more memorable tunes, Florence and the Machine made a formidable attempt with “St. Jude,” the new single off her album set for release June 2. Watch the cinematic, somewhat depressing video below. Florence Welch has become unusually epic since her debut album, and her new song is no exception. Her tunes are increasingly more inspirational than catchy, and her videos are more artistic than visually appealing. 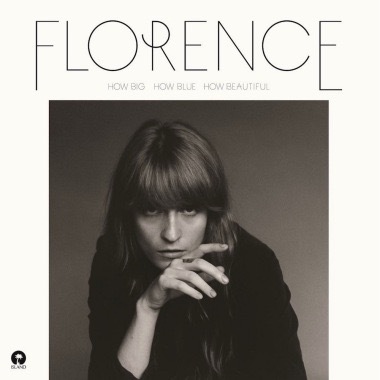 The new album, How Big How Blue How Beautiful, is her first since 2011’s Ceremonials and it’s due June 2 via Republic. Watch the video for ‘What Kind of Man’ below. Anything involving the music mastermind that is Florence Welch, is worthy of posting. She teamed up with EDM star Calvin Harris, for “Sweet Nothing,” where she wears an androgynous getup and plays an abused woman. Harris’ new album debuts in the U.K. on October 29th. Watch the powerful and moving video below. I don’t believe in Jesus, and I’m on the fence about the after-life, but if we go somewhere after we die, I imagine it would look a lot a like a Florence + The Machine video. Watch her epic video for “Spectrum” below. Florence + The Machine on The Voice — EXCELLENT! Does Florence Welch ever have an off night? After watching her sing “No Light, No Light” on The Voice, it’s clear that the answer is no. She’s epic. Watch the Florence + The Machine greatness below. As an aside, do you think the contestants cried for their non-careers after watching her perform? Author The DishmasterPosted on April 25, 2012 October 23, 2018 Categories General, MusicTags Florence + The Machine, Florence Welch, The VoiceLeave a comment on Florence + The Machine on The Voice — EXCELLENT! Florence + The Machine Release “Never Let Me Go” Music Video — Incredible! Florence Welch doesn’t really need to do much to highlight her music. It stands entirely on it’s own. That being said, I love the new video. It captures the epic quality of the song. If you like it, buy her Ceremonials album. It’s worth it. Watch below. Author The DishmasterPosted on March 7, 2012 October 23, 2018 Categories GeneralTags Florence + The Machine, Florence WelchLeave a comment on Florence + The Machine Release “Never Let Me Go” Music Video — Incredible!